The whole concept of coaching I think can be daunting. It's evolved into many life forms over the past 15 years. All sorts of categories of coaching exist today: career coaching, leadership coaching, management coaching, time management coaching, communications coaching, presentation coaching...and the list goes on. There was a time when professional or corporate coaching was reserved and only available for an executive level employee. With the dawn of the coaching movement, coaching (in all its various forms) are available...well...to just about anybody who wants it! For the most part - that's great! Though the quality, effectiveness, and cost of coaching has a range, the fundamentals of having a coach can really make a difference in this current economic climate. It is a viable way to maintain your professional edge and continued employability. What is a coaching relationship (short-term or long)? An objective, key relationship who listens to what you are saying, helps you to set priorities and acts as a sort of “compass” to steer you on whatever course you choose; a facilitator of change. …working with goals by setting, planning and evaluating the process of meeting them and problem solving to name a few. … A synergy that fuels your will, mind and heart to accomplish/ attain what you desire. 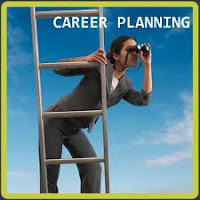 In the case of career coaching, it is working through a planning model to map out a desired career track. It’s a time to get honest and objective feedback from someone who does not have an “agenda” for you, but is committed to supporting your agenda. ...a place to obtain targeted learning. I'm amazed how many people attend my training seminars across the country with really one targeted need in mind and then sit through the whole day. Now it's not they are not learning valuable information. Yet, an alternative (especially in the spirit of effective time management) would be to a have TTS -- I call it "targeting training session" that would last all of 15 - 30 mins. !...they get their need met and they can move on with their day without ever having to leave their desk if that's what they choose. o Specific and Directed Attention -you bring up the issues most critical to you at that moment. o Time Usage-this most valuable commodity is used exactly how you wish. o Sustained Momentum – through consistent contact and action you are able to keep your goals in front of you because there are so many other legitimate needs clamoring for your attention as well. o Results – through coaching goal setting and planned action is discussed thereby achieving measurable progress towards your desired results. o Current Information – I bring the skills of research and resourcefulness to this collaboration to compliment your efforts. o Confidence- planning & action breeds confidence and clarity. ---Coaching is affordable - my fees speak to that. In fact many coaches will offer a free introductory session. It's a great way to test the waters with that person and your need. ---A coaching session is a simple way to gain your 1% edge. One conversation can bring clarity, reduce confusion, help create a tangible action plan, and learn key information to help build a meaningful knowledge base. ---Having an ongoing relationship with a professional coach is invaluable. It's someone who knows you, who has a discerning ear, and can move you from point A to point B effectively. Many people in their work lives stay confused, uninformed, or in pain for absolutely no reason! Your 1% Edge Tip: Find and develop a relationship with a coach. Another way of putting it....have a coach in your professional toolkit....consider it a "coach on call."